The Gadwall has become one of the most hunted ducks in the US, so you need to add one or more of these to your spread. 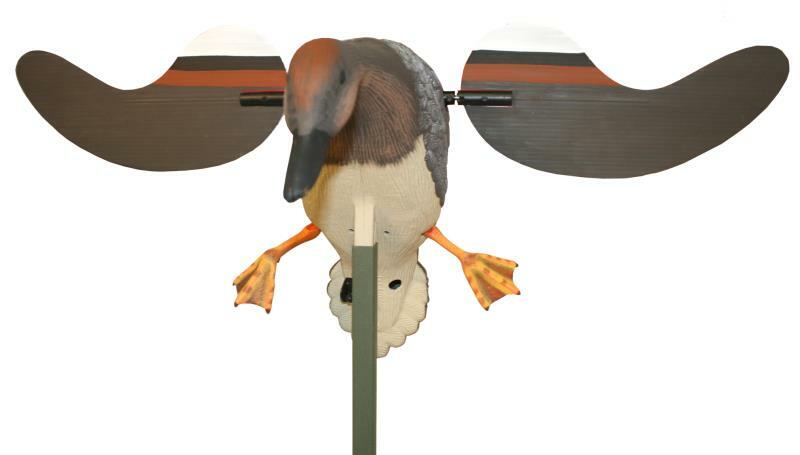 This decoy has features not found on any decoy in its class, including magnetically connected (no more thumb screws) PVC super-fast wings, a second and a half on/off timer, operates up to 16 hours on 6 AA batteries (not included). Features the famous MOJO Direct Drive system for the quietest, most user friendly and effective decoy in its class.